Farbrengen, The: (Yiddish) (a) an assemblage addressed by a Rebbe; (b) an informal g athering of Chassidim characterized by singing and inspiring talk. You may have heard of our “Farbrengen Club” and we want you to join! A Farbrengen at the Shul is an informal gathering of Chassidim and members of the Shul. We talk, sing and inspire each other. You may want to have a Farbrengen in honor of a birthday, anniversary, personal success or just the need for inspiration. In addition, there are reasons the Shul would plan a Farbrengen, i.e. the end of Sukkos, the end of Pesach, and other such special dates. Food is always provided, as is drink. Members will receive front row seats, giving them a great view of the action. If you would like to join this exclusive and highly sought after club, dubbed "The Farbrengen Club" - please click here. 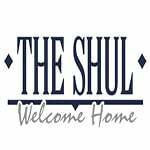 Membership is encouraged, but as with all Shul events, everyone is welcome. Try it. Join a Farbrengen and see how it will profoundly affect your life. Please note that the listed Farbrengen are geared towards men and women! Click here to join the Farbrengen Club! For more information on upcoming Farbrengens, please contact Rabbi Cheski.